This blanket is bang on trend, featuring stars, campervans and stripes. 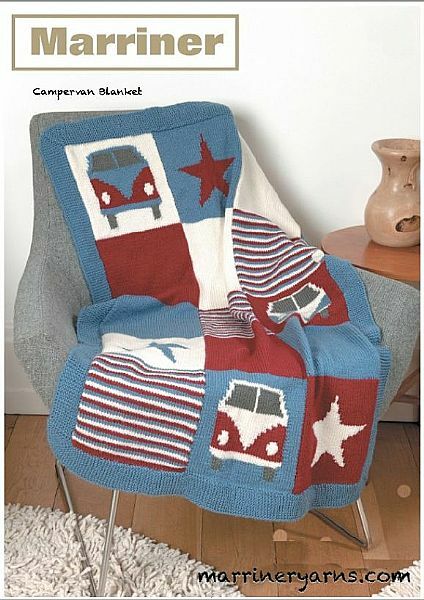 Knitted in Double knit yarn, also includes a cushion with campervan design and tassels. Hooks required 2-4 mm (UK8 - US6) Knitting Needles. 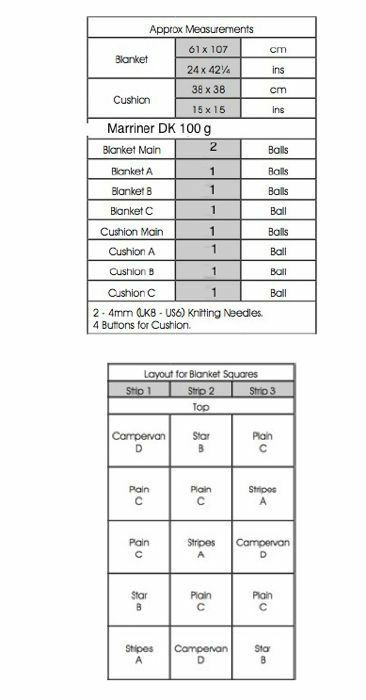 4 Buttons for Cushion.